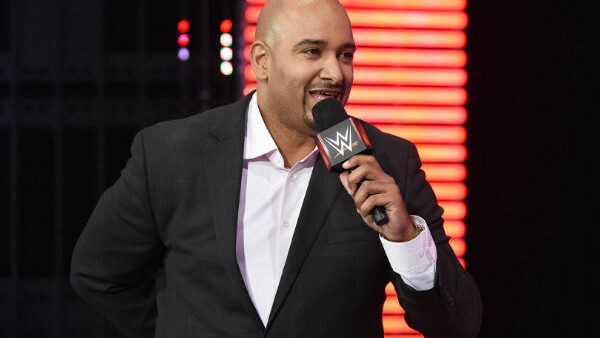 Former WWE announcer and Raw General Manager Jonathan Coachman has left his role as a sports anchor for ESPN. Coachman, commonly referred to as 'Coach', tweeted out that he had decided to leave the sports network giant and pursue other projects. He didn't give any further details on what that would entail, but fans naturally jumped to conclusions and predicted a WWE comeback. As a backstage interviewer, colour commentator, interim authority figure and occasional wrestler, Coach worked for WWE between 1999-2008. Working for ESPN was always something he cited as a dream, so it's interesting that Coachman has decided it's time to leave. Explaining his departure, Coach said it down to both "professional and personal reasons". He also claimed he would reveal new projects in the very near future. Perhaps the most interesting thing was Coachman's reply to one fan tweet confirming he would still be on television. That will only intensify rumours that a WWE return is on the cards. Coach had been producing a WWE segment for ESPN called "Off The Top Rope" since 2015 and always admitted he had great fondness for the company.